Posted September 7th, 2018 by Vergo Network & filed under Ask Vergo. If you are nearing the time of life when you’re expecting to start going through menopause, you are probably starting to experience several symptoms that are making your life less enjoyable. Pruritus is the formal name for itchy skin. This condition is a common complaint that dermatologists handle, and it’s even more prevalent during perimenopause and menopause. Many women first encounter this itchiness on their elbows, or in the T-zone of their face. Other common areas include the back, neck, limbs, chest and face. This itching with menopause can be incredibly uncomfortable and can cause problems in your life, especially if it disrupts your sleep. What Causes Itchiness During Menopause? Beyond this, your skin will not be able to produce as much natural oil as it did in your younger years. These natural oils are important because they are what helps to keep your skin naturally moisturized. Due to the loss of oils and collagen, your skin will rapidly begin to thin out, and it won’t retain moisture very well. This decrease in collagen levels and your body’s ability to produce oils and hold on to moisture can be directly linked to the declining estrogen levels you will experience during perimenopause and menopause. All of this contributes to the dry, irritating, crawling sensation of pruritus – or itchy skin. If you are suddenly experiencing itchiness, it could actually be due to some other skin condition such as hives or eczema, though that itch is slightly different from the menopause-related pruritus. Other internal causes can be issues with your nerves brought about by health problems like diabetes or shingles. This itching could also be indicative of thyroid disorders, liver disease or certain cancers like lymphoma. If you are experiencing itchy skin along with other problematic symptoms, be sure to speak with your doctor. They can help run tests and determine if this itchiness is simply a symptom of menopause or if there is actually a deeper cause. Thankfully, there are many things available to treat pruritus associated with menopause. You can get treatment over-the-counter or on prescription. You can buy itch creams at just about any drugstore or retailer with a pharmacy. Look for one that has hydrocortisone levels of at least 1%. These creams can offer temporary relief. Your doctor might prescribe a topical steroid cream, patch or lotion. 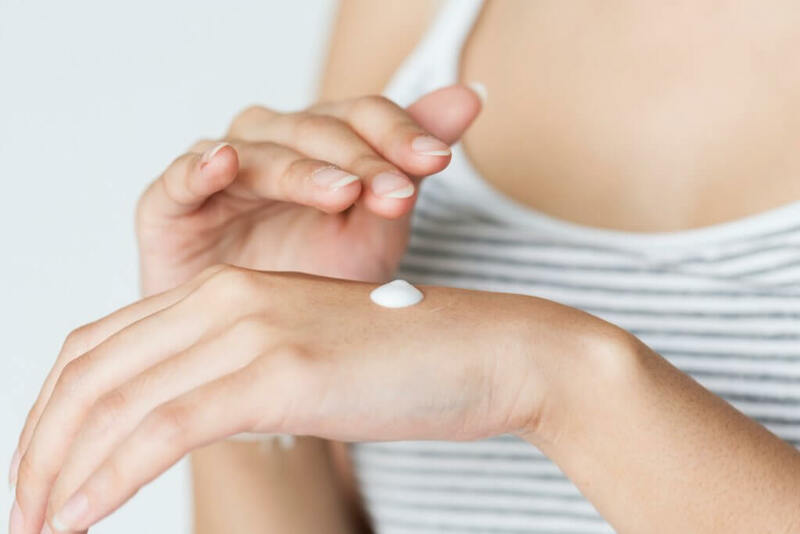 These prescription options contain higher levels of hydrocortisone and other corticosteroids that can relieve the pruritus causing you to be itchy. Here are a few straightforward ways to help alleviate the symptoms of being itchy due to menopause. Stay hydrated. As discussed earlier, one of the reasons your skin is itchy with menopause is because there is simply not enough moisture in your skin. Help it along by staying hydrated! Take cooler showers. You might enjoy a steaming hot shower or bath, but that heat is drying out your skin even more. Try to take shorter showers, and make sure they are a bit cooler than you are used to. Get your vitamins. Make sure you are getting enough Omega-3 fatty acids, as well as B vitamins. The best source for these is from foods like eggs, walnuts, soy and salmon. If you aren’t getting enough, consider a good multivitamin. Put down the scented soaps and lotions. The chemicals used to make the fragrances in soaps and lotions can be harsh to your skin, irritating it even more.